Like many wild things....ramps are not to be ravaged. At a restaurant in Great Barrington, I experienced a five-course-meal at a place that was participating in an all-you-can create ramp revival. The interior of this restaurant, which is the Latin name for garlic, done in sable and peridot. This color palette is a perfect backdrop for the ramp, a slim bulb of white and scarlet that leafs out like a lady slipper. We, a friend and I, were curious about five-course ramp meal. Typically people will fry up ramps with eggs at their fish camps. The very ambitious will make a pesto out of leaves and bulbs. The ramp is really a wild leek but what a wild leek it is. As soon as we sat down at the restaurant, we were given menus by a young maitre'd. He sat us with a flourish and wandered off. The place was half full. The menu was completely unusual, unique, very impressive combining haute cuisine with this hard-to-get wild leek. "Wow," I exclaimed. "Very impressive," I said. Our wait person approached our table. She was a fine-boned woman of Montessori heritage who eyed us warily, as if we had showed up at her yurt unannounced. "This is so unique, so many ramps!" I said. She nooded. I asked what wine might one choose for such a feast. She stifled a yawn and said "Zin." 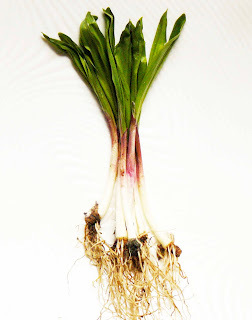 Like most wild things, ramps are not easily cultivated. 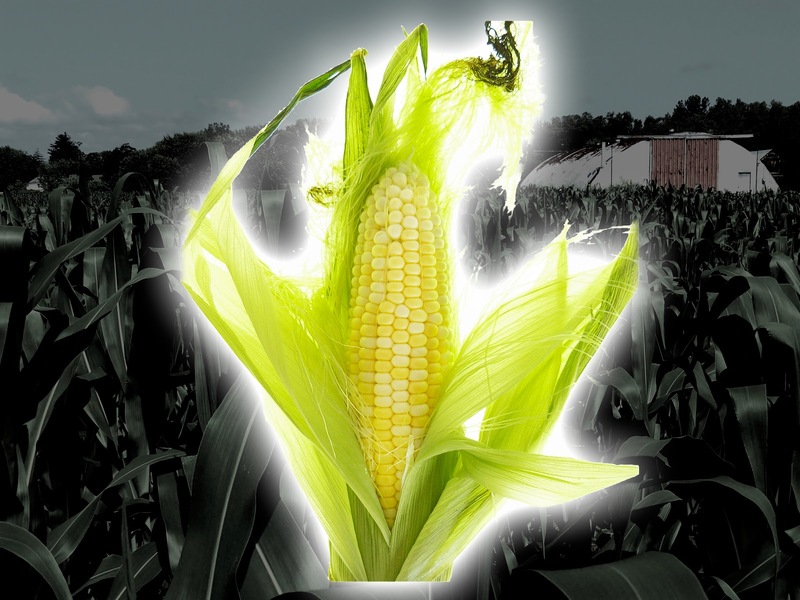 They must be foraged and to forage, a knowledge of the great outdoors is required such as when do they come up, where do they come up, what kind of soil do they like and finally how to you pick them? The answers are 'early spring,' 'a secret,' 'sweet soil,' and 'don't over do it, only pick part of the patch, stick with leaves and pick only some of the bulbs and put them in a sack for ventilation.' Unfortunately, ramps are being ravaged due to over exposure on the cooking channel. The ramp ice cream was exemplary, wild, like nothing I have ever tasted due to the surprise of garlic, sweetness, lavender and something unexplainable all at once. This was a whole new garlic -- tender and with a little bit of tang. As for the rest of the meal, the pate, incredible, the roasted ramp, amazing, can't wait to make it at home, the risotto, lovely due to the fact that the mushrooms I am pretty sure were foraged and the pasta "house made." What else? The Zin, the perfect foil. We went home where we will wait until next year to recreate that experience. Where can you get ramps now? Forget about it. They were available in the Berkshires in the last two weeks in April and early May, in NYC four weeks ago and around here for the last three weeks but we are at the tail end of ramp season. You might get lucky and find some tomorrow at the Greenfield Farmers' Market where the only guy who sells them (Paul) might have some left. Be sure to go early and bring a sack.